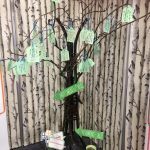 PS get compliment-tree at the CPC! 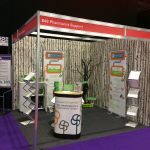 On the 12th & 13th of May, the Pharmacist Support team hit the road once again to join thousands of attendees at the Clinical Pharmacy Congress (CPC) in London. With the upcoming launch of our three new wellbeing workshops (on resilience, time management and assertiveness) on the horizon, the team decided that this years stand should take on an assertiveness theme. Part of being assertive is the giving and receiving of compliments. The act of giving a compliment is a sure fire way of bringing a little positivity to somebodies day, as well as giving your own wellbeing a boost in the process! 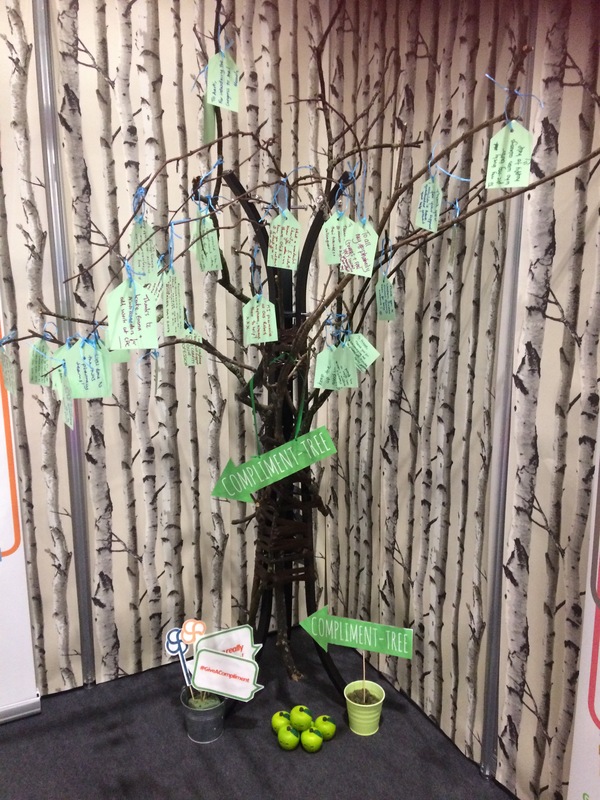 As a way of visualising our #GiveACompliment idea to those visiting the stand, we crafted our very own Compliment-Tree! So with wallpaper and branches in hand the team set about creating a wellbeing woodland theme. 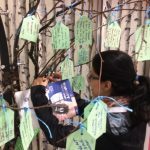 Attendees were invited to write their own compliments to friends, relatives, tutors, co-workers and organisations and hang them on the tree. 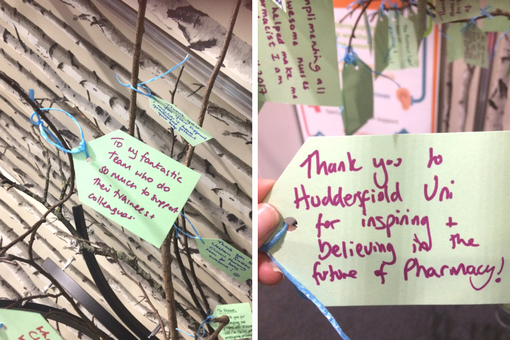 By the end of the two days, the branches were positively blossoming! Alongside this, we also handed out free compliment slips for visitors to take away and pass onto others at the Congress. 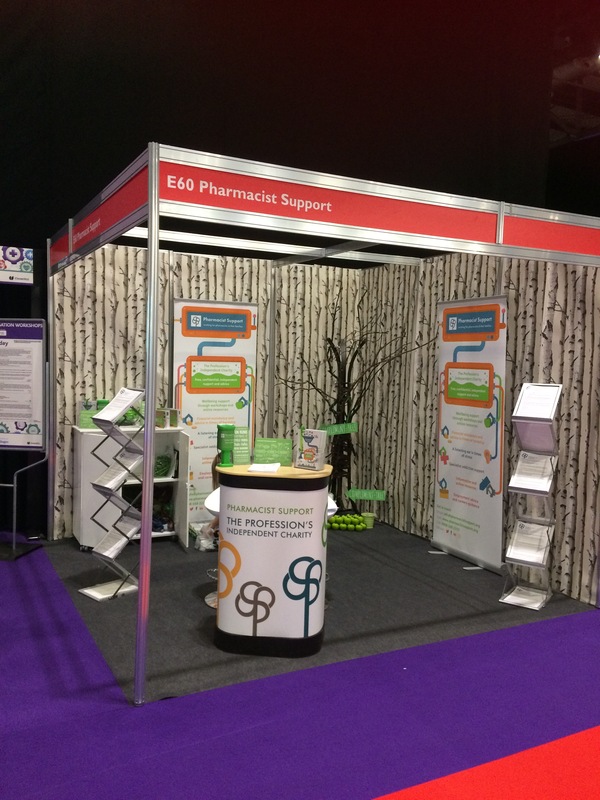 In July Pharmacist Support will begin rolling out its new wellbeing offering. For further information or to host your own introduction to assertiveness, time management or resilience workshop, contact David on wellbeing@pharmacistsupport.org or call 0161 441 0811.